There is nothing more delightful or more comforting than hearing from an old friend. 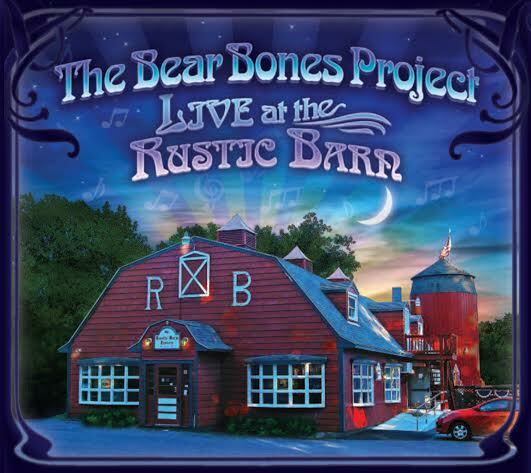 The Bear Bones Project Live at the Rustic Barn brings that same sense of nostalgia and peaceful joy as if they’re old friends picking up where they left off – an impressive feat considering this is their first album release. Although, The Bear Bones Project have been cultivating a close network of friends and fans at small town shows and parlor romps which has kept them virtually a hidden little secret, to the public, they have been largely unavailable – until now. The jam friendly soundscapes created in Live at the Rustic Barn are welcoming to all who have an ear; and even to a stranger, listening is as though an old friend is beckoning. Rustic Barn taps into the roots Americana and acoustic realm of folk lyrics but a euphonic blend of electric bass and guitar driven by a gentle beat of the drums will, at times, incite a feeling of familiarity. A nostalgic nod to an era long past, “Into the Air” lovingly pays tribute to Mr. George Harrison. Keeping with the inviting and classy rollicking upbeat tune, “Grandma Moses” is an ode to a sensible yet free spirited philosophy of life. “Lonestar” gives us a casual little pause with a vocal change up and an accordion. But it’s not until “Big Sister” we get the feeling something dreadful is looming yet the omnipresent flute captures a touch of a playful sentiment and creates a song that makes The Bear Bones uniquely them. 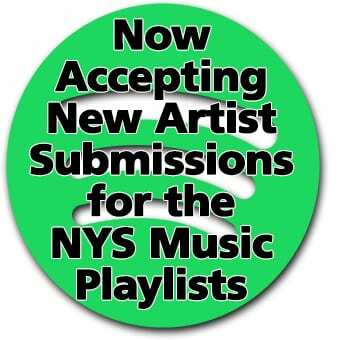 Tucked in between Carey Ahner (guitar, lead vocals) originals are obscure covers. The Bear Bones Project breathes new life into Jorma Kaukonen, Lee Alaxander, and Paul Barrere. Randy Newman’s “Sail Away” is arranged in such a way that it is completely different, but only recognizable in the lyrics. 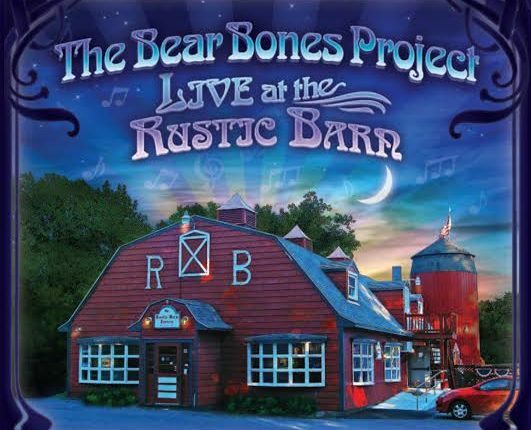 The Bear Bones Project is Carey Ahner (guitar, vocals), Pete O’Hearn (electric guitar, vocals), Sandy Decker (flute, accordion, vocals), Bill Decker (bass) and Eric Johnson (drums). Together they create an organic blend of complicated arrangements from various backgrounds in musical training. Pushing the envelop by releasing a live album first speaks to their sense of musicality, successfully conveying the spontaneous and intimate nature of their performances. The Bear Bones Project will be at Pauly’s Hotel on February 22. The night sky is blacked by city lights where the stars are few and far between, drowned by the false iridescence reflecting in distances we don't understand. The winter air is cold and crisp. No snow, but the quite of the streets reminds me of the loneliness winter captures. I walked alone and stood at the edge of the old brick building, leaning as though I held the red stone in place. I pulled on my smoke, looking up; I noticed the moon, as I often do. Tonight was different; I felt a conversation ensuing. I felt so small. Not insignificant, but rather, humbled by the tale told by a lunar goddess. I am a piece of the whole vastness encompassed by the Universe and still a whole that I can capture. I am. The moon had told me so, a beautiful moon it was.